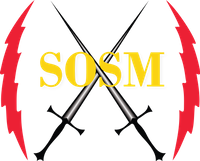 When you donate to Soldiers Of Self Mastery you'll receive a free gift from me! This blog has become a labor of love for me. I spend many hours each week creating videos and managing all the technology required to keep the site running smoothly. Of course, this costs time and money. If me or this blog has been a positive influence in your life and if you’d like to see it grow to help more people, please consider supporting my work. To make a one-time donation, please click the red button below to enter the amount you wish to donate. Testimonials powerfully demonstrate the usefulness or effectiveness of this site to others visiting it for the first time. If soldiers of self mastery has helped you in anyway, I’d be most grateful if you’d write a testimonial using the form below. Thanks! By submitting this form, you give Soldiers Of Self Mastery permission to use your submitted answers, in full or in part, in promotional material. What was your experience with Santos like?